Attraction put her injury problems behind her to claim the Ultimatebet.com 1,000 Guineas at Newmarket. Kevin Darley made most of the running on the big filly - who held off the fast-finishing Sundrop - to add the race to his St Leger win last year. It was also a second Classic success for trainer Mark Johnston, who won the 2,000 Guineas 10 years ago. Hathrah, ridden by this season's 2,000 Guineas-winning jockey Richard Hills, was third with favourite Red Bloom in fourth. Attraction had been off the track with a leg injury since winning the Cherry Hinton Stakes at Newmarket last summer. And there had also been fears over whether she would stay a mile but the filly, who has a conspicuously awkward running style, proved her doubters wrong to keep up her unbeaten record. "She doesn't have the most perfect physical confirmation in the world, but believe me, there are a lot worse horses than her," said Johnston. She is a champion two-year-old, the best in Europe, and now she is a Classic winner. "She didn't just win that, she galloped and stayed all the way to the line. I am thrilled to see it happen. "Everybody put doubts in my mind about her stamina, but really I never doubted her," he added. Winning jockey Darley was equally fulsome in his praise for Attraction. "It was just a brilliant performance. She was totally exceptional out there," said the English jockey. For the second day running, Godolphin had to settle for second place. 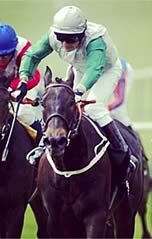 Snow Ridge, ridden by Frankie Dettori, was runner-up in the 2,000 Guineas and Sundrop nearly gave Australian jockey Kerrin McEvoy a dream first ride in a British Classic in the 1,000. The new Godolphin number two jockey, who had his first British winner at Haydock on Saturday, failed by half-a-length to catch Attraction.